It seems like I've been "on hold" for this book almost forever! 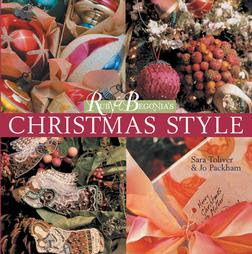 The editors have outdone themselves on this one; it's filled with wonderful ideas for Christmas decorating...301 ideas, to be exact. The colors and themes used throughout the book are so appealing...wish I could just twitch my nose and have everything decorated. Wouldn't that be oh-so-cool? Just a quick little post to start the morning. Be sure to visit Melissa at The Inspired Room beginning Monday. She has quite the week-long party lined up, featuring a kick-off by McMasters & Storm. If you missed her last party, you won't want to miss this one! Oprah has her list of favorite things and so do I. My listing is not as costly as hers, but all are satisfying on a certain level. Great stocking stuffers and/or a nice treat for yourself. 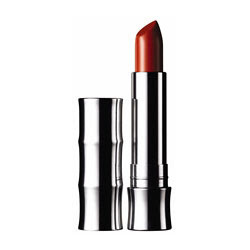 Clinique Color Surge Shea Butter lipsticks...sheer, soft, and smooth. 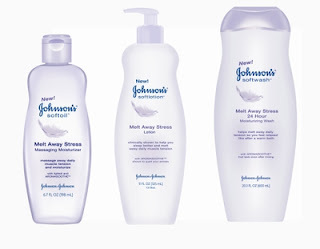 Johnson & Johnson Melt Stress Away products...moisture wash, massaging moisture, and body lotion. Soothing, and a nice, clean fragrance. 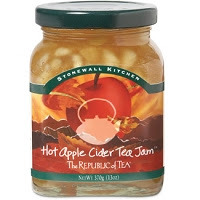 Stonewall Farms Republic of Tea Hot Apple Cider Tea Jam. So good on cinnamon scones. 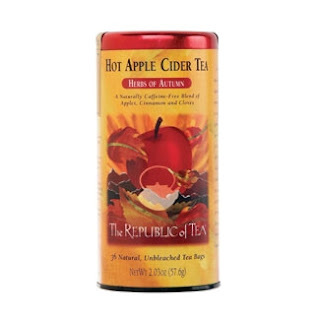 Republic of Tea Hot Apple Cider...delicious on these cooler days. The aroma is wonderful. Today is a good day to start forcing bulbs for holiday bloom. 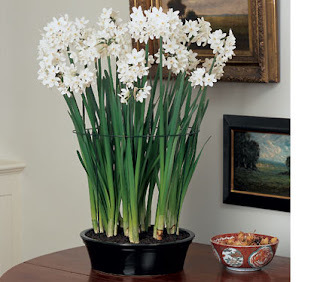 Narcissus, or paperwhites are truly the easiest and quickest bulbs to force. They grow so fast and bloom so quickly...if only the scent was a bit better! I have groupings of bulbs in various containers; most of the bulbs are anchored by pea-gravel instead of soil. About every 2 weeks, I start a new container so there are continual blooms throughout the holiday season. I noticed several boxes (now reduced in price) at Sam's Club last week...a huge savings over the kits you can buy at Target from their Smith & Hawkin collection. Needed: more greenery! My plan this morning is to go out with my cutters and take some cuttings from evergreens (next door...don't tell!!). 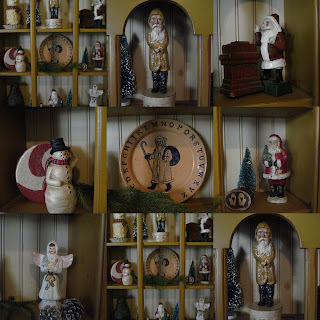 My entryway needs a bit more green to layer at the base of my Santas and snowmen. Many more Santas need to come out and play...it's just finding the right place for them. It's finally a nice sunny (but cold) day here. Yesterday was just downright nasty with rain, gloom, and wind. The sun makes such a difference! Just one more class to go for this semester--of course a paper is due on Monday--and there are no more weekly quizzes! A first for this semester. No reading assignment, either. Seems we just have to show up and turn in the paper. I'm really looking forward to the semester break, but even more...looking forward to graduation in May. This Christmas tree is located in our library lobby. I've pulled out lots of holiday decorations in the past few days when I haven't been cooking...it's definitely going to be a more scaled-down look. If I can force myself, I'd like to visit Target this afternoon...they usually have rosemary topiaries and Christmas trees. 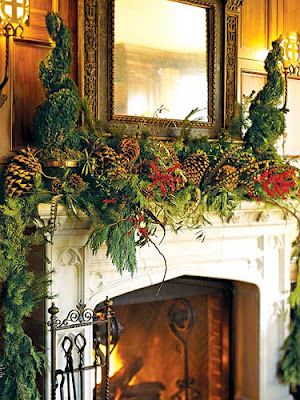 I'd like one for one of the mantles, and perhaps a Norfolk Island pine. 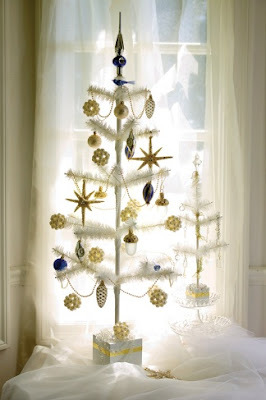 I have lots of little Christmas trees...various sizes...and I think I'll use them throughout the house instead of putting up one huge artificial tree. I'm still lovin' the idea of turquoise, pink & silver...lighter and airier. I'm already tired of the holiday ads...big sales if you want to get up and shop at 4AM. 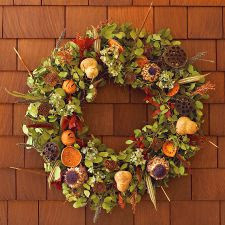 I'm feeling more of a handmade Christmas coming on...that way, crowds can be avoided and frustrations can be minimal. Sitting on the porch, (someplace spring-like or autumn-like) with a stack of magazines beside me, a pitcher of iced tea at hand, relaxing. 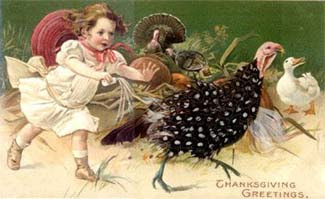 Thank goodness I don't have to chase a turkey (and do unkind things to it...like chopping off his head!!). I just have to fight the usual supermarket crowd and pick out an anonymous looking frozen bird and let it thaw. 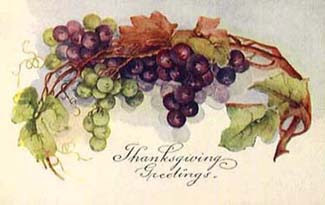 After the thaw, my turkey will be spending a day soaking in cider brining spices from Williams-Sonoma. This stuff has a wonderful aroma...smells like Thanksgiving!! The glitter neighborhood has been started on the mantle, courtesy of a birthday gift from my friend Carol. Like all new developments, the landscaping and other amenities are not complete. 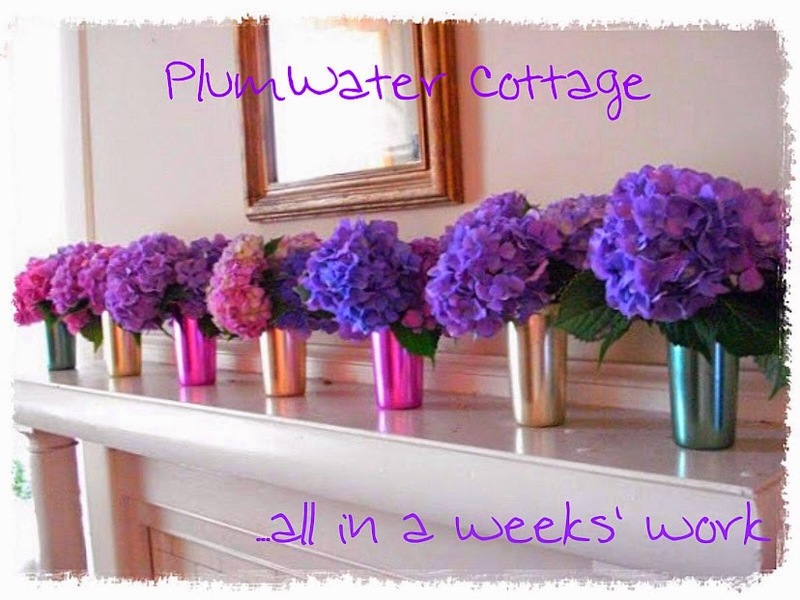 This inspires me to start a little glitter construction very soon so the neighborhood can grow...I love this cottage! 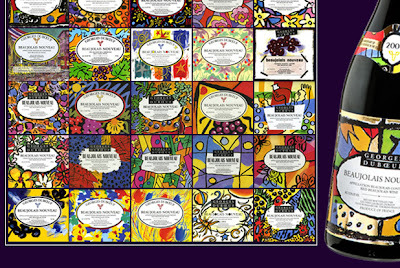 A friend and I will be going out sampling this evening...should be fun! Yesterday was kind of a low-key day...I met friends for lunch, went to work for a while--still counting the hours until my Wednesday through Sunday stretch of time off--and came home to a very quiet house. It was a nice, mellow day to celebrate my birthday. Now it's time to rev up and get ready for the Thanksgiving holiday only a week away. I think I finally have all of my Halloween items put away, but you never know...there could be something tucked away that I won't find until it's time to put out the Santas and snowmen! I put my desktop computer away several months ago...I stopped using it when I got a laptop so I didn't see the need to have it take up space in the corner of the diningroom. Well...I decided I really needed to get the scanner out. I used to scan magazine articles and the like, and I do miss the functionality of that. 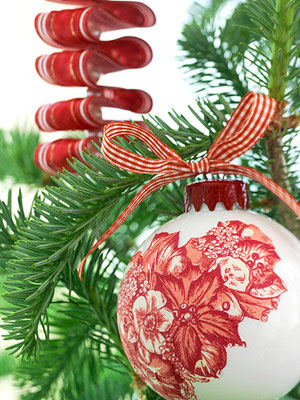 It would also be nice to scan a really cute little ornament-studded Christmas tree I want to attempt to make...it's featured in Country Living Handmade Christmas. So cute and it would really look great on the mantle. I'm just having a little problem locating the cords/wires needed to connect it to my laptop. "Treasure Hunting"...here I come! 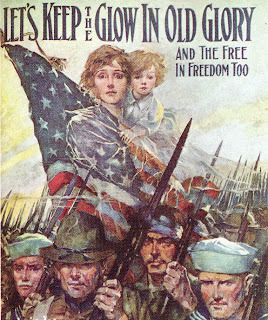 Even though the actual Veteran's Day was yesterday, today is the "official holiday." No mail, no bank, and in many cases, no school. That means the library will be a hopping place today. People who serve...they're a good thing. For the longest time (decades) I loved the Primitive look; now I find myself drawn to the light...glitzy, shiny things. It's a welcome change. I have to work all weekend, so today's my day off. 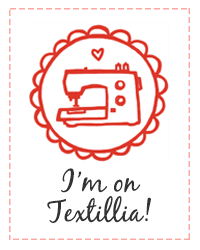 I'm going to work on a few ideas for holiday gifts, shop for groceries, and maybe go to a little fabric shop out in the country if today's one of their "open" days. 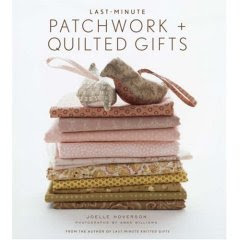 I would like to find some Amy Butler fabric in anticipation of getting my patchwork book from Amazon. 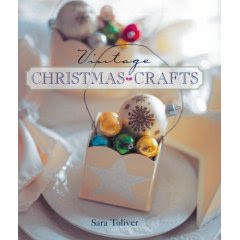 I already have Amy Butler In Stitches and there are a few cute, quick ideas for gifts in it. 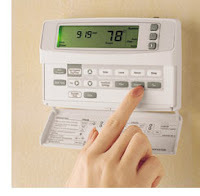 Blackle is an energy saving version of Google. Check it out by clicking here. 1 cup Ranch (or Bleu Cheese) dressing. Shred the chicken, pour the Tabasco over it and let it marinate. Mix in the softened cream cheese, the shredded cheese, celery, and the dressing. Mix together and bake 20 minutes at 350 degrees. Serve with Frito Big Dippers or other corn chips. It seems like every recipe I come across is loaded with fat...but this is so good. Walk extra, do more stretches...anything to compensate for the calories in this dip! It's that good. and a piece of tapestry fabric that is almost like my blog banner. Truly a happy miscellany. Thank you, Kathy...I really appreciate everything! I will send a handmade gift to the first 3 people who leave a comment on my blog requesting to join this PIF exchange. I don’t know what that gift will be yet and you may not receive it tomorrow or next week, but you will receive it within 365 days, that is my promise! The only thing you have to do in return is pay it forward by making the same promise on your blog. If anyone is interested in joining in, I will send a handmade gift to the first three to leave a comment with their promise to pay it forward. Please, please, please...will three people sign up to play? The first 3 commenters who commit to joining in on the Pay It Forward exchange will receive a handmade gift from me. It won't take 365 days as the rules state, and I'm not sure what the gift will be (I dabble in many crafts). Until yesterday afternoon, I hadn't visited my little backyard for a few weeks. It just hadn't been a "destination" for several weeks...due to the high temperatures and lack of rain we had, my plantings weren't looking too good...and it was just too hard to fit in watering and plant care. 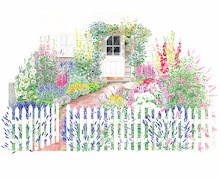 This happens almost every year, but the spring is so full of promise...and I love to plant herbs and flowers. We've had a few very cold mornings this week...frost in some areas...but in this little microclimate near the river, look what survived and thrived...sweet basil! I'm going to cut back this forest in a barrel and make some pesto to freeze. The picture of the sage and rose...I should be ashamed; the rose was a goner, as was the sage. It fried to a crisp in the hot summer sun, so I dumped it in a little compost pile at the side of the house. Looks kinda nice now though! 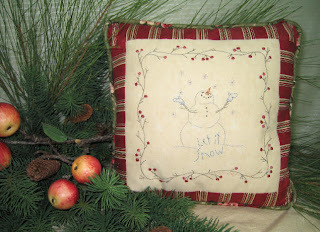 Perfect for holiday snacking and hostess gift-giving. The combination of rosemary, cumin and cayenne pepper lends an irresistible flavor to toasted nuts. 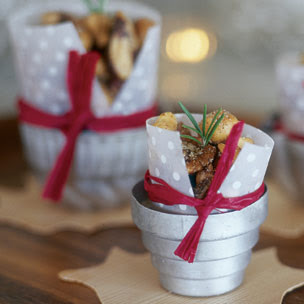 Pack these savory gifts in small decorative tins or in cellophane bags tied with a ribbon. Preheat an oven to 300°F. Place the nuts in a bowl. In a small, heavy saucepan over medium-low heat, warm the olive oil. Add the rosemary and stir until aromatic, about 1 minute. Pour the seasoned oil over the nuts. Add the sugar, cumin, salt, black pepper and cayenne and stir to coat the nuts evenly. Transfer the nuts to a baking pan. Bake, stirring occasionally, until the nuts are toasted, about 20 minutes. Transfer to a plate and let cool completely. Store the nuts in an airtight container at room temperature for up to 4 days. Makes about 2 1/2 cups. Visit The Inspired Room this weekend; Melissa is having a blow-out party to celebrate her 100th post, and is teaming up with The Blissful for a wonderful giveaway. 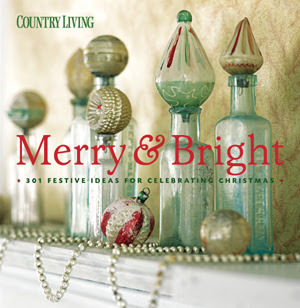 Holiday recipes, decorations, and hostess gifting ideas abound. Join in the fun! 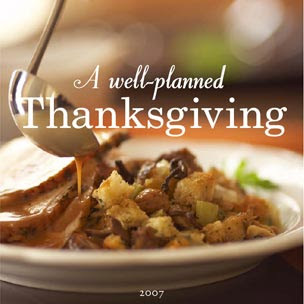 I've been looking through the Williams-Sonoma Thanksgiving Entertaining book from a few years ago. It has beautiful table scapes and wonderful looking food. Thought I'd check their website to see if they had a newer holiday book. 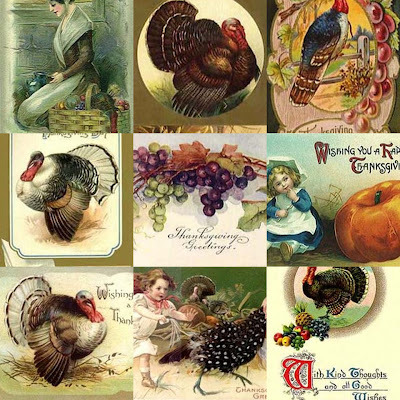 Click this link to be taken to their downloadable PDF file for Thanksgiving Ideas for 2007. Great recipes...free! Now that's what I like! 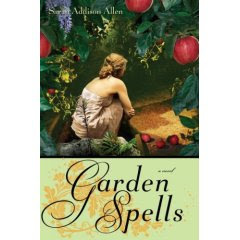 I have just finished reading this book...a fairly quick read, very reminiscent of Practical Magic by Alice Hoffman. After spending the past weekend with the classics for school, this was a pleasant "mind cleanser". I have a few more "must-reads" on my list to tackle before the weekend. It should be a pretty light weekend for schoolwork...we're on Ibsen's A Doll's House, easy to read and understand with (and this is important...NO footnotes!). On the "leisure" list...Patricia Cornwell's latest, Book of the Dead, and Keeping the House, a first novel by Ellen Baker.